Newport Beach Psychologist Dimitra Takos, PsyD. Dr. Takos is a Licensed Clinical Newport Beach Psychologist specializing in the treatment of adolescents and adults suffering from depression, anxiety, and trauma-and stressor-related disorders. 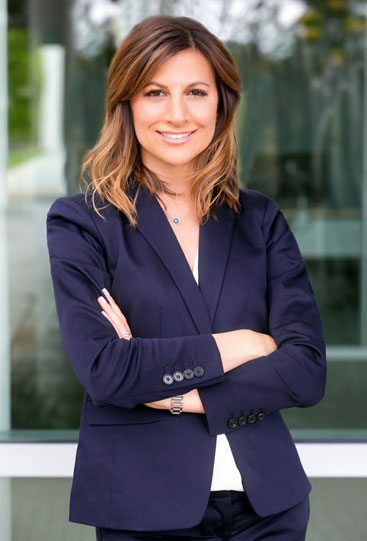 Dr. Takos graduated from the University of California, Irvine and received her Doctoral degree in Clinical Psychology at the California School of Professional Psychology, San Francisco. She completed her predoctoral internship at the Boston Veterans Affairs Healthcare System/Harvard Medical School and a postdoctoral fellowship at the Cognitive Intensive Outpatient Program, Sharp Mesa Vista Hospital, San Diego. Dr. Takos has extensive training and clinical experience in settings that include psychiatric hospitals, primary care clinics, forensic institutions, and the department of education. In addition to clinical work, Dr. Takos is published in mindfulness based practices and presents professional lectures and seminars. She also has supervised predoctoral interns and postdoctoral fellows in training programs accredited by the American Psychological Association. The DSM-5 adds the classification of Stress-related disorders to their newest version. Psychologists, psychiatrists, counselors and social workers use a tool called the Diagnostic and Statistical Manual of Mental Disorders (DSM) to help them understand, describe, and diagnose mental and emotional conditions that are present in their patients. This guide is published by the American Psychiatric Association who’s most recent addition of the guide; the DSM-5 was released in 2013. The guide groups together similar conditions to help practitioners understand how conditions are related. As science evolves and researchers learn more and more about various mental and emotional states, the guide gets updated to include these discoveries. In the 2013 edition, many new changes were made to the DSM, some of which helped to reclassify stress-related disorders including Post Traumatic Stress Disorder (PTSD). PTSD was first introduced into the DSM in 1980 and grouped in with Anxiety disorders. A major change in the most recent edition of the DSM reclassifies PTSD into a new category of disorders called Trauma and Stressor-Related Disorders. This change was significant as it helps to highlight the integral role that stress and trauma play in the formation and treatment of these common disorders. It also helps practitioners understand the impact of improperly managed stress on human behavior. These diagnoses are grouped as they often share common symptoms. It’s important to note that not everyone that experiences trauma or stress automatically develops a Trauma or Stressor-Related disorder, only that if a person has significant stress or trauma in their lives, they have the potential to develop one of these conditions. The level of trauma, the person’s capacity to deal with stressors, family history, and other factors will determine if they develop a related disorder. Generally, a “disorder” refers to a group of symptoms that interfere with a person’s inability to function in one or more areas of their life. For example, if a specific trauma or stress-related issues makes it hard for someone to make friends, do well in school, or perform at their job, it’s classified as a disorder. If you’re feeling overwhelmed with stress or trauma and develop panic attacks, anxiety, agitation, or issues sleeping, you should consider speaking with me, as a Newport Beach Psychologist I understand there’s no reason to suffer in silence. It’s also important to note that you shouldn’t feel ashamed or become angry about the term “disorder.” This term is used by clinicians as a diagnostic tool to quickly communicate a set of related symptoms and in no way should make you feel like something is wrong with you. It’s simply a way to explain the issues that you’re experiencing which is the first step in determining a clear path to helping you feel well again.